Offering numerous events and programs throughout the year, Wilderness Adventure is your destination for outdoor adventure, unique dining experiences, and Bed & Breakfast specials as well as fully customizable events. Adventure Activities for small groups: zip line, climbing wall, canoe/tube/bike rentals. 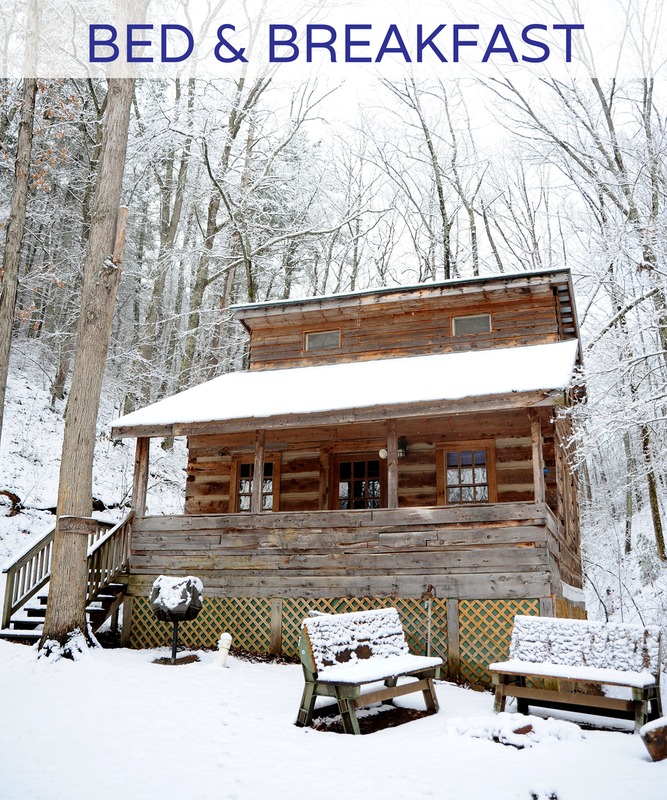 Organize your own getaway in southwest Virginia. Our Bed & Breakfast special, which runs throughout the winter months, is the perfect escape for two! Interested in planning an event of your own? At Wilderness Adventure, we offer completely customizable event options and have experience hosting family & school reunions, office parties, bachelor(ette) parties, Christmas events, and more. We understand that hosting a special event requires a flexible space, supportive staff and a winning attitude. You'll find all of these necessary characteristics and many other conveniences when you host your special event with us. For more information, call our office (540-864-6792) or request a free price quote.